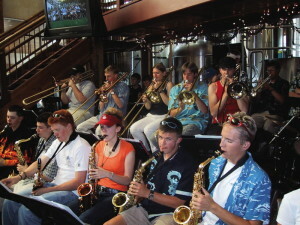 Check out the incredible Summit High Jazz Band and help them raise funds for their trip to Barcelona and France. Performance starts 5:30 pm. Enjoy Happy Hour Specials 3-6 pm — $2.75 Pints and 1/2 Price Appetizers. Plus we have 30% off Pub Dinners from 5-10 p.m.